We catered for a dinner party Yeovil last Thursday evening. They had two courses. The first was a chicken wellington. This consisted of chicken breast, wrapped in Parma ham, mushroom duxelle and puff pastry. This was served with crushed new potatoes, cabbage and a white wine, chorizo and thyme creamy sauce. The dessert for the dinner party Yeovil was a Mille feuille. 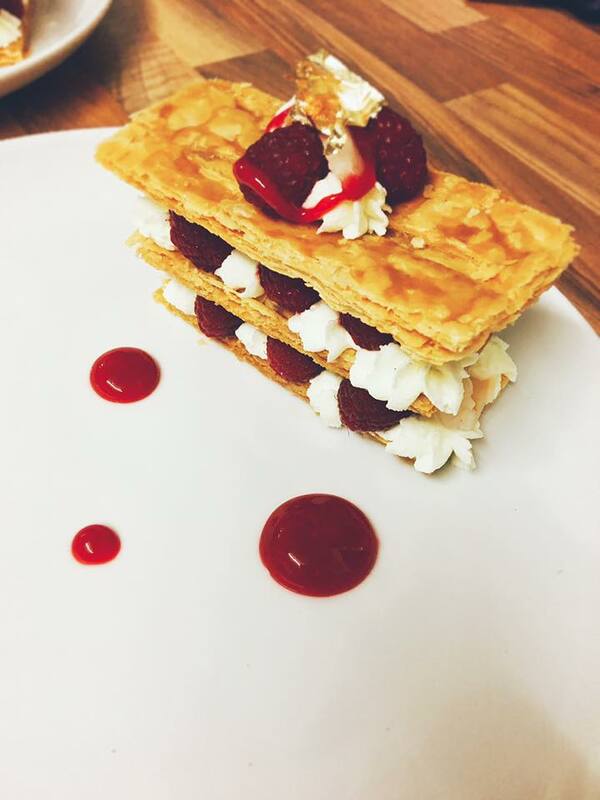 It was a raspberry, rosemary, rose and lychee Mille feuille. This consisted of puff pastry layers with lychees and raspberries sandwiched between. The layers were held together with a rosemary cream and drizzled with a raspberry and rose sauce. 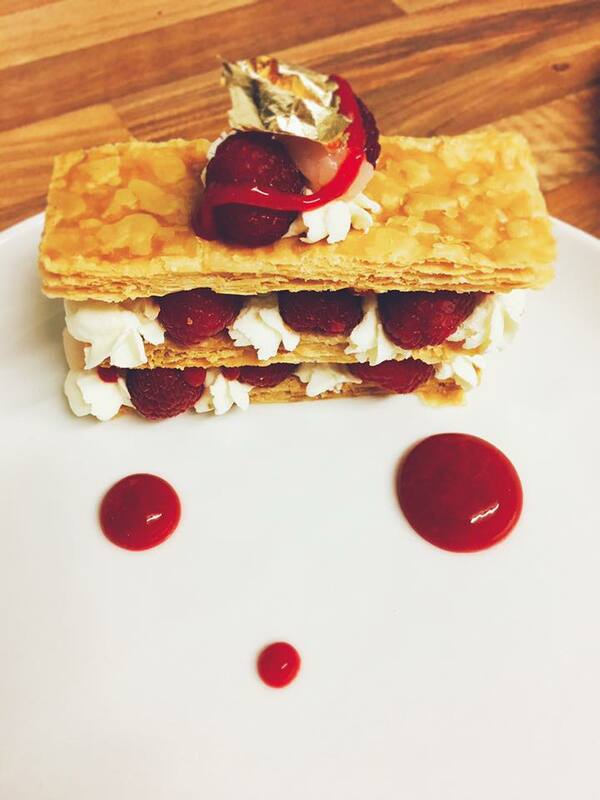 The Mille feuille was finished with some gold leaf. 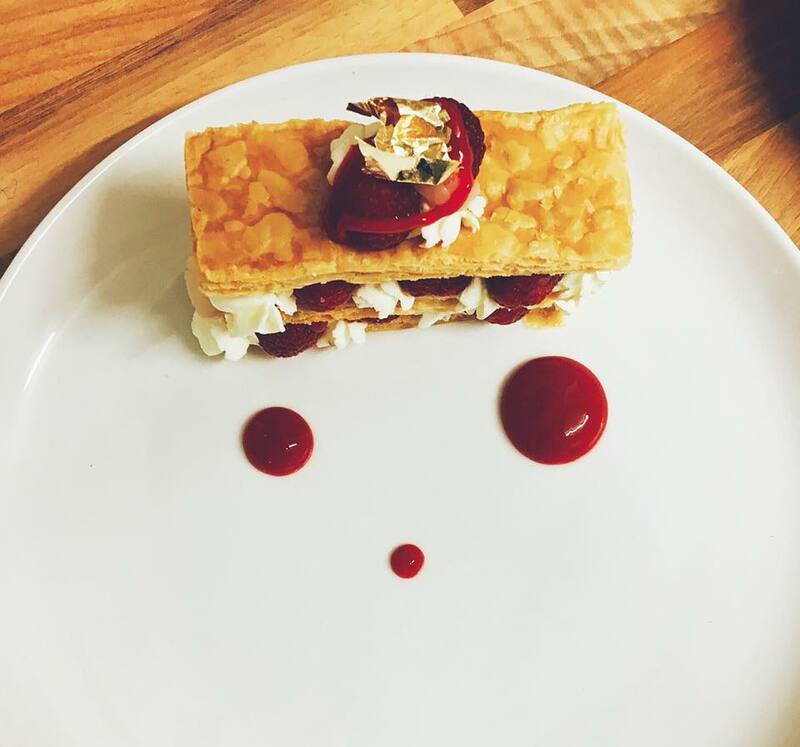 Raspberry, rose, lychee and rosemary Mille Feuille dinner party yeovil We are a caterer and Personal chef service that covers Somerset and Dorset including Weymouth, Sherborne, Bruton, Bridport, Dorchester, Lyme Regis, Weston and Yeovil. If you would like to know if we cover your area please get in touch and we would be happy to discuss this with you.